It is our desire at SPC both to know Jesus and to make him known. In addition to our worship and ministries at St. Paul's, we are blessed to be able to be a part of a number of outreach ministries in our community. Some of these we parter with other organizations and some are right from our own church family. If you would like to learn more about any of these ministries, please contact us and we would be happy to get you any information we can and connect you with the people leading each ministry. 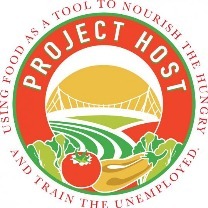 In addition to the soup kitchen at the the CC Pearce Culinary School at Project Host teaches unemployed and underemployed people the skills and knowledge needed to get a job in the food industry so they can become more financially stable. Rebuild Upstate strengthens the Upstate community by providing volunteers and materials to create safe, healthy, sustainable home environments for disabled, low-income and elderly people. Unlike organizations that focus on new home construction, they exclusively repair and improve existing homes. In this way, they allow these individuals and families to maintain their dignity. Both adults and students have joined with Rebuild Upstate to help with various projects like building ramps for those who need wheelchair access. Each year in early February, we celebrate Super Bowl Sunday together as a church family by enjoying a soup lunch with each other and collect donations for a ministry here in Greenville. Over the past few years we have seen thousands of dollars raised for ministries like Serenity Place. Simple Suppers is a meal ministry created and run by members of St. Paul's for those in our church family who are sick or suffering or could just use some encouragement and love. If you are interested in learning more about Simple Suppers or if you would like to provide meals, please contact Karen Sherman at kesherman@bellsouth.net.